Vice President Yemi Osinbajo, SAN, has renewed the call for international collaboration aimed at tackling the menace of terrorism, stating that Nigeria will continue to cooperate in the global fight. Prof. Osinbajo who made the call earlier today when he received on a courtesy call to the Presidential Villa, the Bangladeshi Chief of Army Staff, General Abu Belal Muhammad, added that networking among terrorists groups has increased the need for countries to close ranks to counter the threats posed by their activities. “We are concerned about terrorism not just within our borders, we have also seen the influence of terrorists across borders and how terrorist organizations have cooperated with each other,’’ the VP observed. He added that “we are aware for instance that some within our own borders are cooperating with ISIL and we think that this sorts of evil collaborations must have a response from countries that share similar experiences and can present a credible force against terrorists’’. 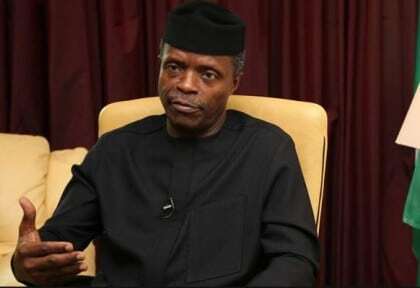 Speaking about the urgency required to tackle the menace, Prof. Osinbajo warned that “terrorism is a major problem and perhaps the most significant problem that the free world will face in the coming years’’. On the Nigeria-Bangladesh relations, the Vice President said improved cooperation between the Bangladeshi and Nigerian military would go a long way in curbing threats posed by terrorist groups within and around borders of the two countries. According to him, “we have benefitted a lot from some of your experiences in fighting insurgency in Bangladesh and we hope that we benefit even more from those experiences. He said Nigeria looked to cooperating with the Bangladeshi government across different fronts including defence and the economy. Earlier in his remark, the Bangladeshi Chief of Army Staff, General Abu Belal Muhammad expressed gratitude at the reception accorded to his delegation since arriving Nigeria. He said the long standing relations between Nigeria and Bangladesh has helped in the career development of many officers of the armed forces of both countries. General Muhammad added that there was however a need to strengthen relations on the defence and economic fronts to tackle challenges that are peculiar to both countries. 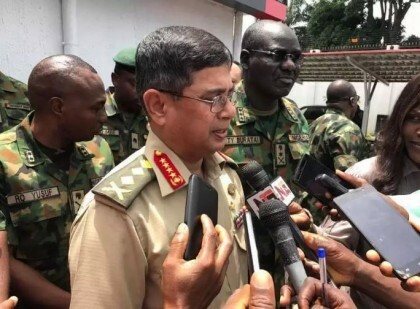 The Bangladeshi Army chief is in Nigeria on a working visit to improve military relations between both countries.